Paint developer portals with an aesthetic brush. Improve developer experience with usability, hypermedia, pagination, RESTful design, and more. This post is included in our eBo on GraphQL. Download a free copy here! We’ve talked about GraphQL at length previously, and for very good reason – GraphQL is, in many ways, one of the powerful tools an API provider has in terms of providing singular endpoints to the consumer and controlling data flow…. GraphQL is incredibly powerful — so powerful, in fact, that it is used by corporations such as to drive their large, complex social systems for billions of users. Despite this, the language is still relatively nascent, and its usage has yet to reach the dizzying heights that those languages it replaces and augments occupy…. Whether or not you focus on DX design, your developers are always experiencing your API, and that experience may either be positive or negative. Ronnie Mitra is the director of API design at the API Academy, which has a singular focus on API design and implementation best practices. Mitra is an advocate that an API must be designed with its reader in mind. The many different types of connected devices are increasing dramatically. We already have a large amount of duplicate code between client applications (both native and web), and the increasing number of devices is only making this worse. Also, cheap low-end devices are gaining greater market shares, and users expect a good experience when using our software on them. To solve the problem of code duplication on the clients, we need to pull as much of it as we can back from the clients to the server. A good way to achieve this is to build a Hypermedia API and to use HTML as the media type for the API. In the course of designing and using web APIs, you’re bound to encounter tokens. They are everywhere: access tokens for OAuth, CSRF tokens for security, reset tokens for passwords. Because of their ubiquity, they’re easy to overlook, but token design actually plays a huge role in shaping your application architecture. This presentation surveys API architectural archetypes through the lens of tokens, and how they can facilitate (or inhibit) your platform’s scalability. When it comes to user experience in consuming APIs, Ronnie Mitra is the one to talk to. Listen to his session to understand what it takes to implement consistent usability standards throughout your API's onboarding process and ongoing usage. 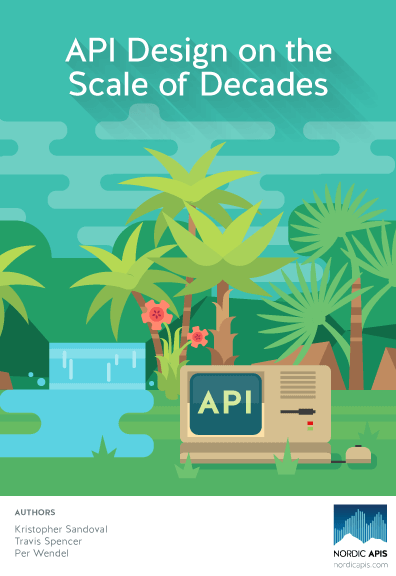 Expert Insights from the 2016 Nordic APIs Platform Summit, dedicated to the theme of architecting and designing APIs on the scale of decades.